Charleston Plantworks designs, builds and installs water features in your existing landscape. Let us immerse you in soothing sounds from ponds, fountains and waterfalls. Rushing water provides a constant relaxing sound and helps cover background noise. Water features attract many types of birds and additional wildlife such as turtles, frogs and salamanders. Charleston Plantworks has the aquatic experience to build and install breathtaking Koi fish ponds and filtering systems. 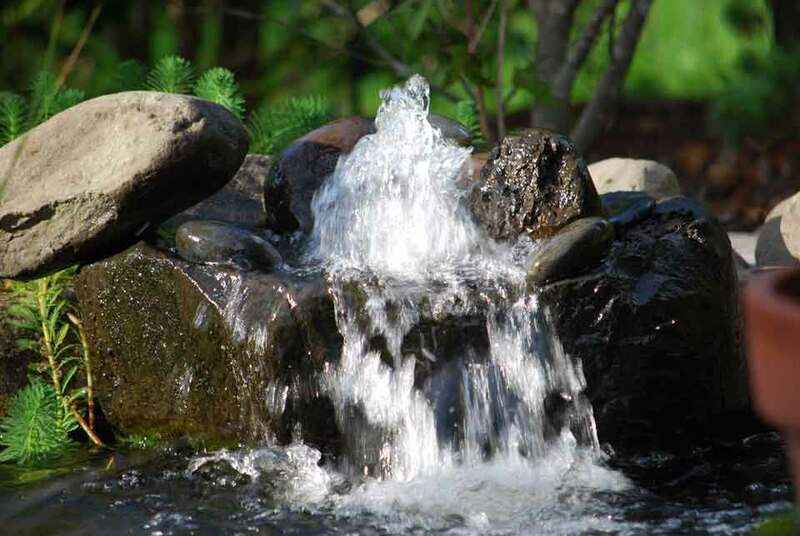 Let our expert staff create and maintain a balanced aquatic environment in your garden. Call (843) 579-1033 or email info@charlestonplantworks.com to discuss your landscaping ideas for ponds, fountains and waterfalls. - Clean ponds, install new pump filters and balance chemicals each spring. - Make sure to remove excess aquatic plants before the high growth summer season.